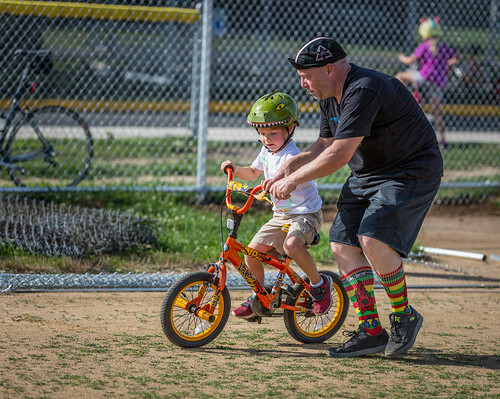 Every great cyclist throughout history had that first wobbly turn of the pedal. 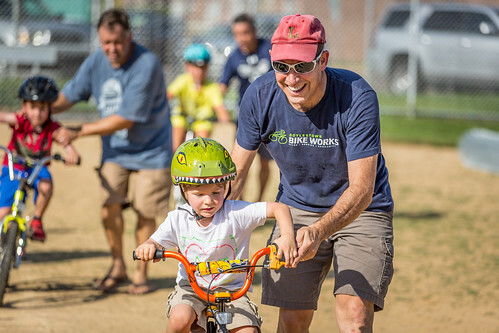 For more than 30 brand new bike riders, that first turn happened tonight at our second Learn to Ride event. 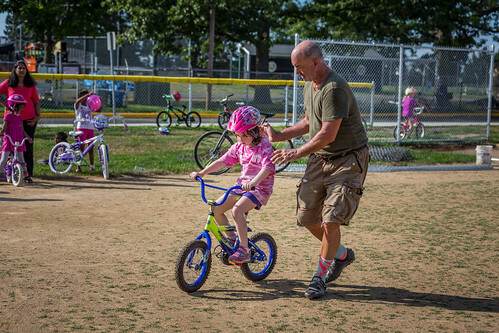 We were able to get almost every rider off of training wheels and onto two wheels. 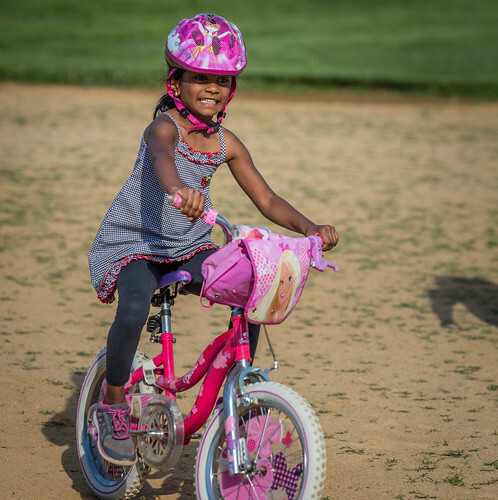 And once they realized how much fun riding on two wheels is, they didn't stop pedaling. 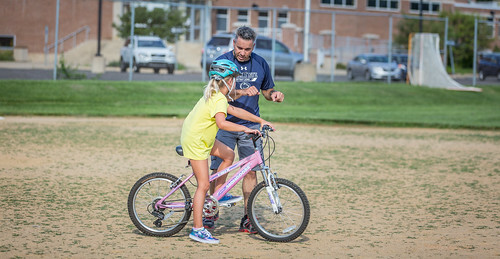 For all the excitement of the upcoming Thompson Bucks County Classic on September 11, it is events like this in the lead-up that show just how strong the cycling community is in Doylestown. 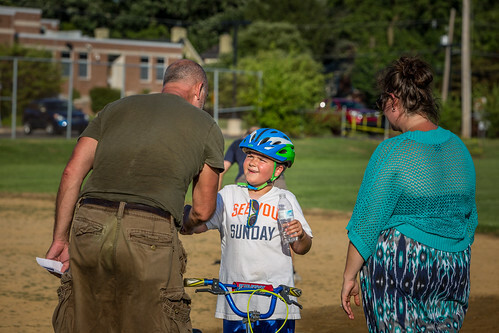 Several members of the community took time in the heat to steady young riders, encourage them and provide well deserved high fives as each kid became a member of the larger cycling community. Below is a small selection of images from the event. You can find more images here.